So many purchasers have fallen in love with LOVE Condominiums that sales have soared enough for Gemterra Development Corp. to begin construction! Recently, the company celebrated groundbreaking at this popular new Scarborough community, which speaks to LOVE’s enormous appeal. Gemterra has set a new record for getting to the construction phase in this area – and it is easy to understand why. 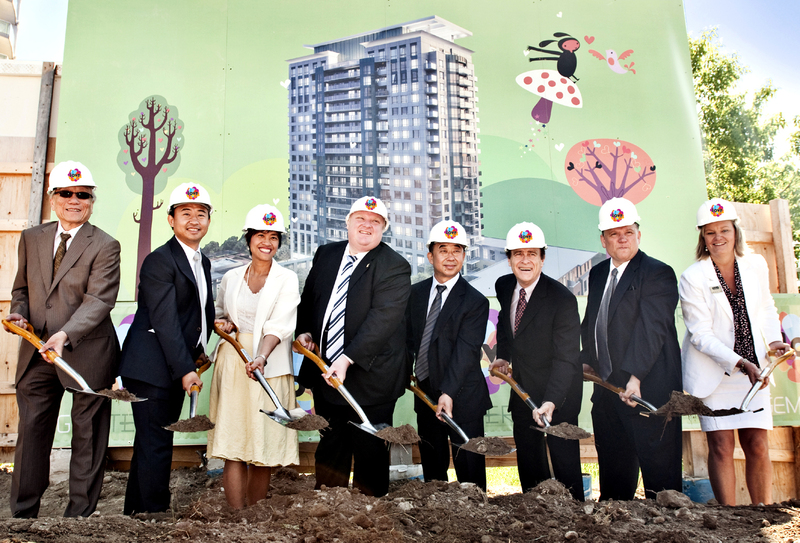 Scarborough offers residents some of the most affordable suite prices in the City of Toronto. With prices ranging from the low $200s to the high $500s, suites at LOVE lie within the reach of buyers looking for value. We often hear from clients who could not afford to purchase a home in Markham or downtown Toronto, and were pleasantly surprised that they could buy at LOVE without sacrificing convenience. Location tops the list of the reasons to buy. Residents live steps from shopping and dining at Agincourt Mall, and close to other shops and restaurants, schools, parks, arenas and the Tam O’Shanter Golf Club. Builders such as Gemterra are wise to place condominiums in the midst of amenities like these. Building vertically close to shops, services and public transportation is wise in today’s urban areas. Suite owners save time and effort by having grocery stores, dry cleaners, postal outlets and the like within their immediate vicinity. And at LOVE, buyers also realize that with the new LRT line eventually running adjacent to the property, their initial investment is bound to increase over time. There are still suites available, and now is the optimum time to get in on the first phase of this multi-phase community. Discover a wide range of suite styles and townhomes in a gorgeous building that will house remarkable amenities. People are simply going to love living at LOVE. To find out more, visit www.lovecondominiums.com or call 416-491-LOVE (5683).